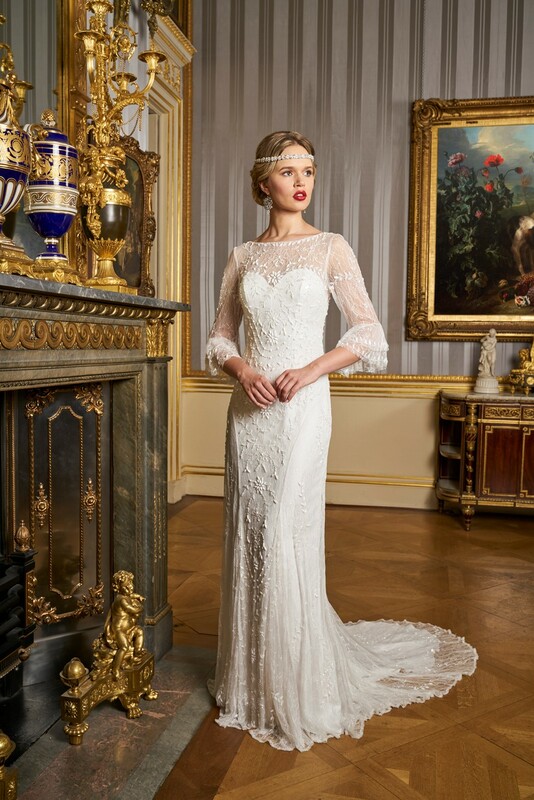 Today I am thrilled to share the latest collection of vintage inspired Wedding dresses by the incredible Eliza Jane Howell. 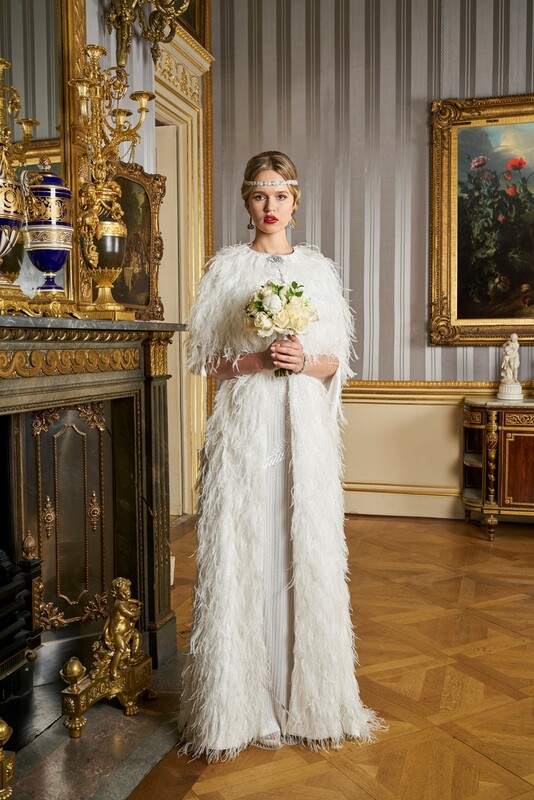 In the 17th and 18th centuries, it became the custom of the sons and daughters of the gentry to take the Grand Tour of Europe to soak up the Continent’s culture and civilisation. 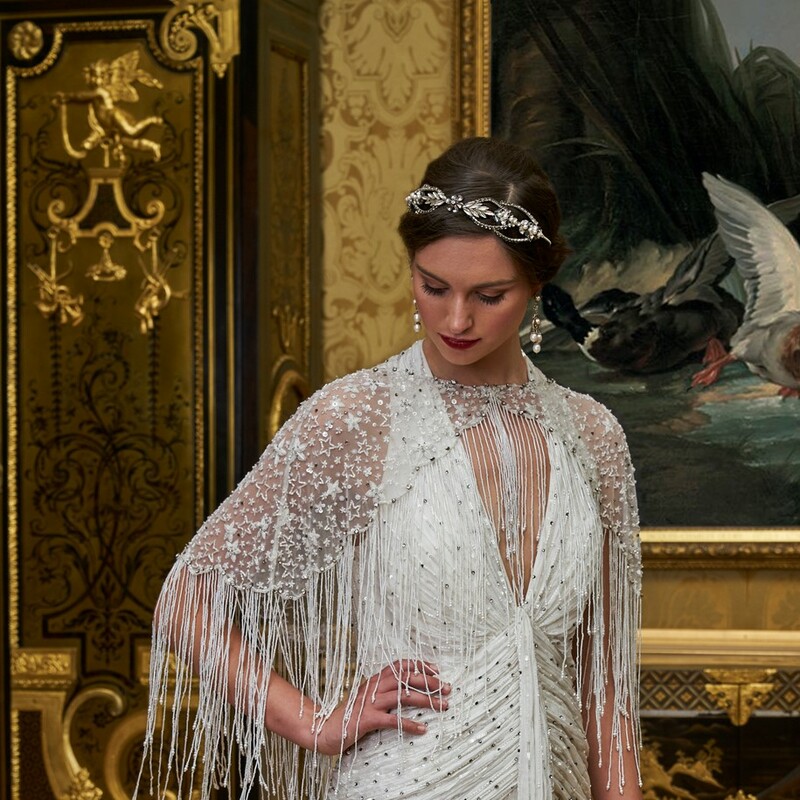 The paintings, design and fabrics from that era are the inspiration behind Eliza Jane Howell’s new collection of bridal dresses, The Grand Voyage. 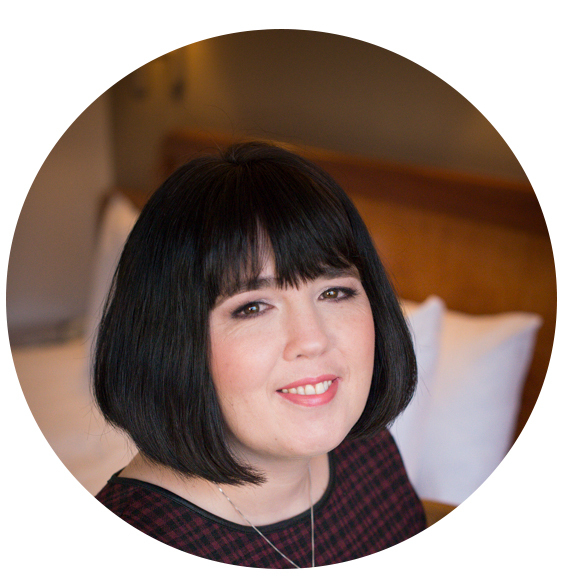 Images were captured by Chris Dawes Photography. 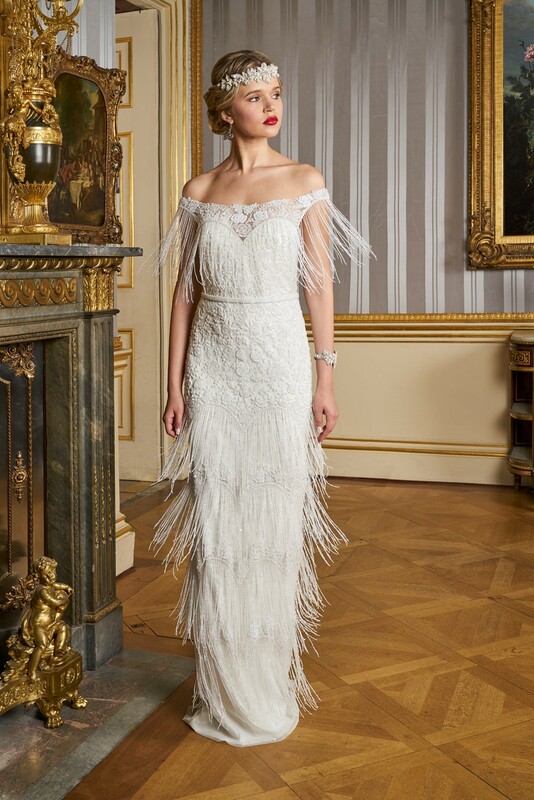 A graduate of the Royal College of Art in London,, renowned designer Gill Harvey brought together her years of experience to create the Eliza Jane Howell Bridal Collection. 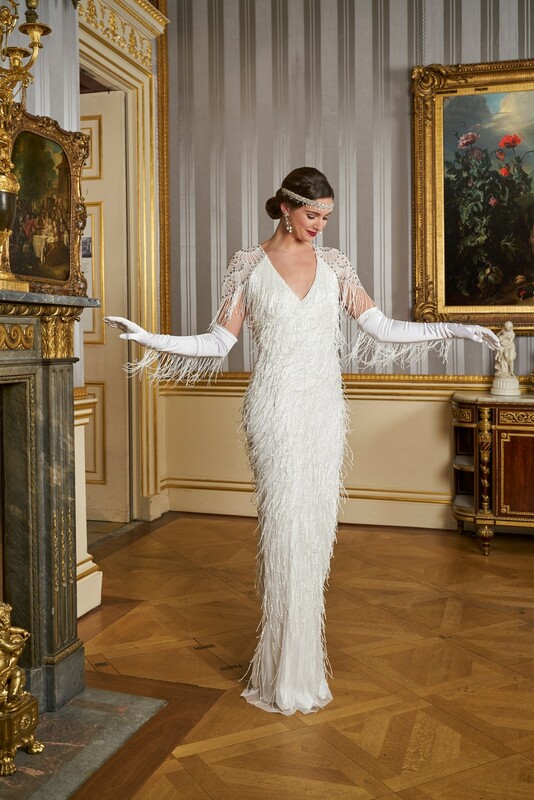 Named after her grandmother, the Eliza Jane Howell Bridal Collection was designed for the modern day bride who would love to wear a dress that oozes the glamour, sophistication and decadence of the golden age of fashion. 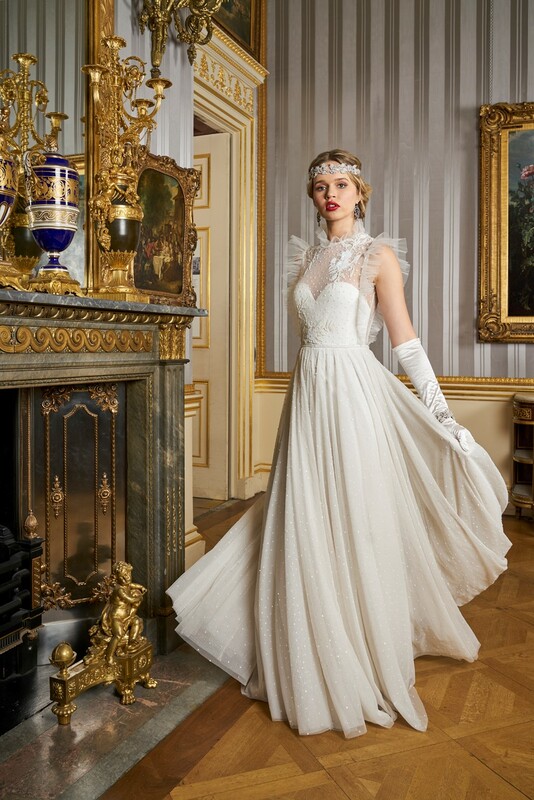 Taking inspiration from exquisite vintage gowns, the Eliza Jane Howell collection is the epitome of grown up glamour. 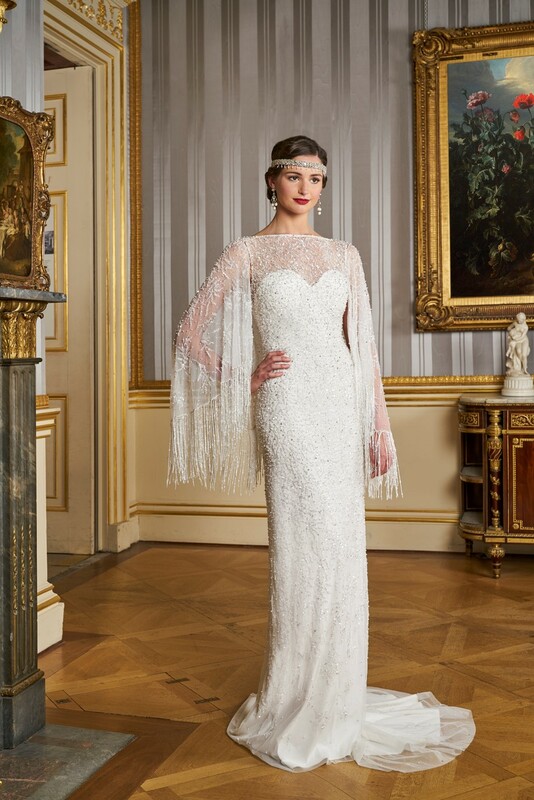 Eliza Jane Howell dresses are all hand beaded and sometimes come with the extra embellishment of hand embroidery. 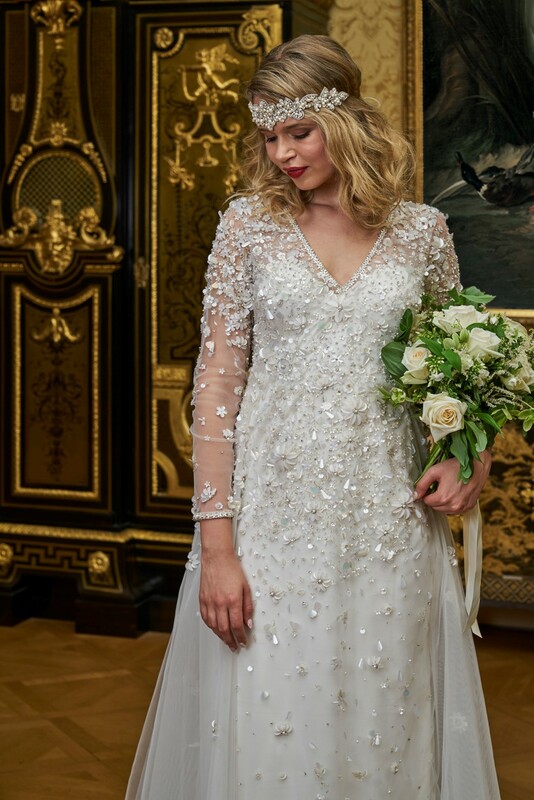 Each dress is individually made by combining exquisite traditional and modern beading techniques and patterns. 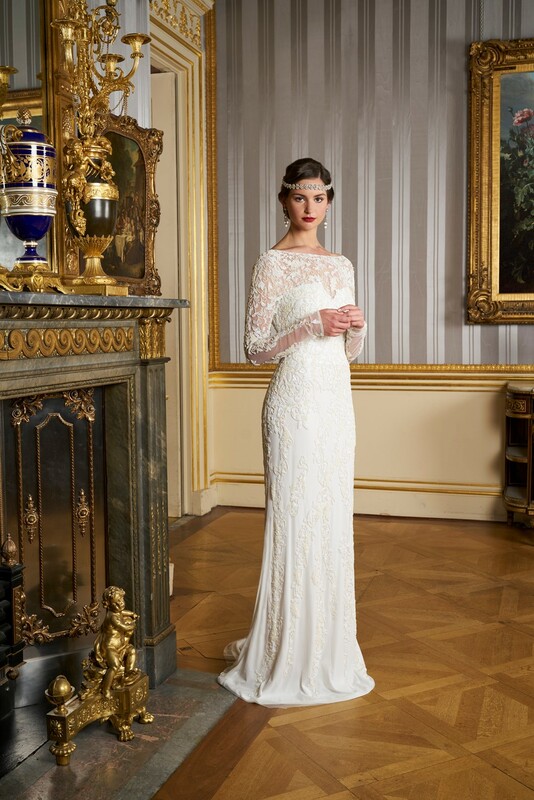 It is this blend of old and new and makes an Eliza Jane Howell gown dress truly unique. 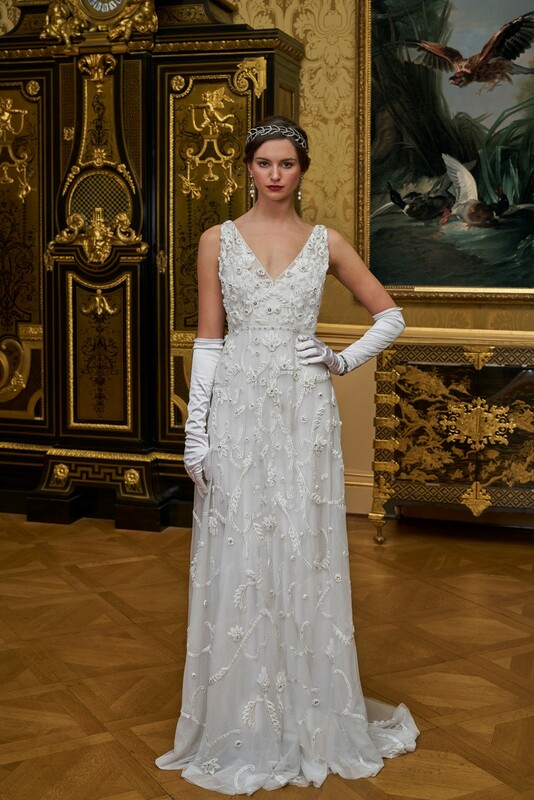 They like to think of their dresses as an heirloom or investment piece which can be preserved and passed on to the next generation. 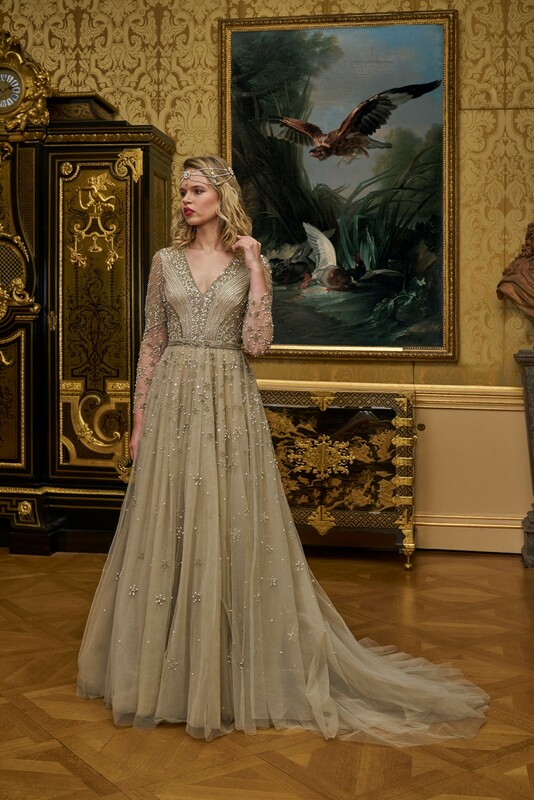 To photograph the Grand Voyage gowns and do justice to their unique qualities, a very special location was required. 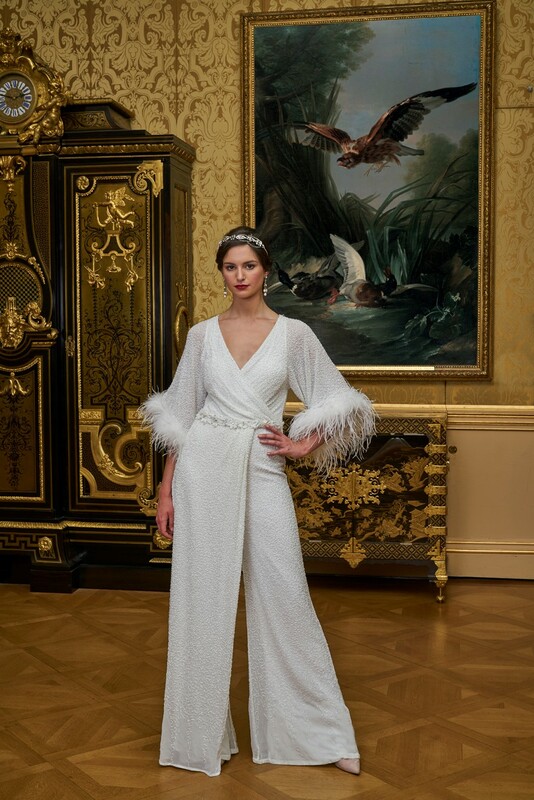 It seemed that fate had decided to intervene when Eliza Jane Howell was approached by the Wallace Collection with an invitation to use the Collection’s Hertford House for the photo shoot. It proved to be an inspired combination. 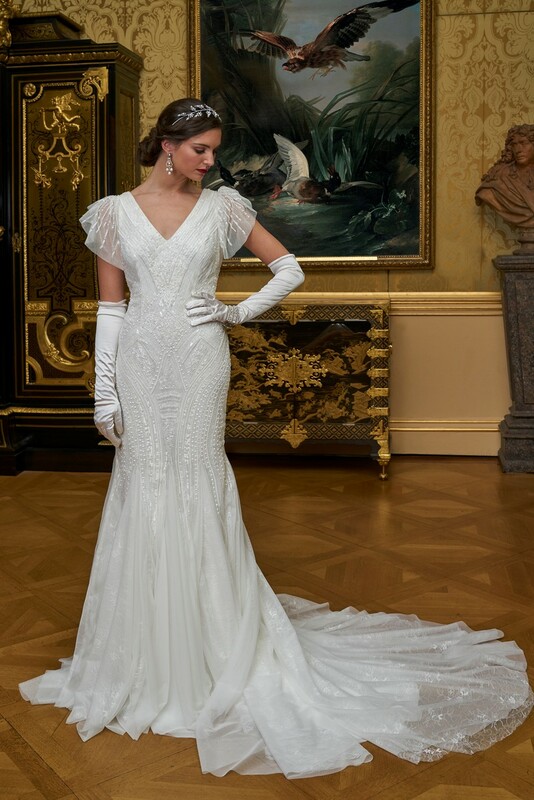 Set in the elegantly-proportioned rooms of Hertford House, a building which dates back to the 18th century, the Collection’s fabulous treasure trove of fine arts, porcelain, furniture and Old Masters made the perfect accompaniment for the elegance and style of the gowns. 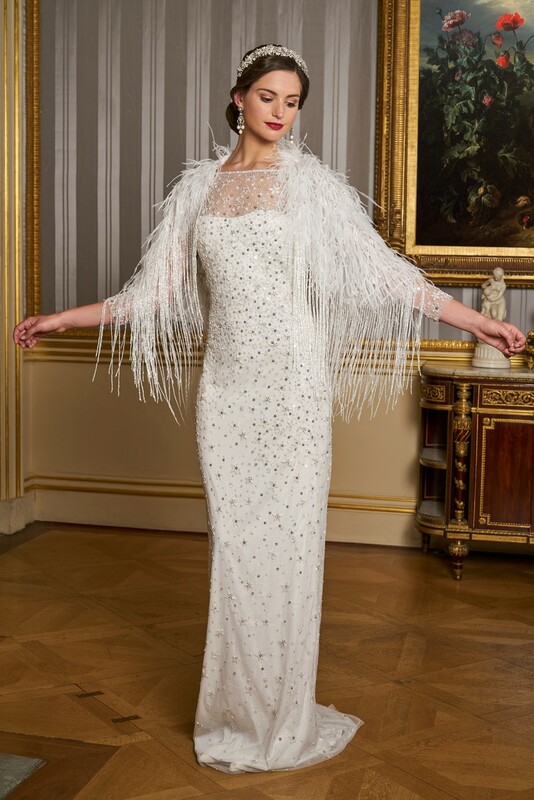 Each gown has been individually made with exquisite detailing, fringing and delicate hand beading emphasising stylish vintage flair and combining a masterful fusion of contemporary style and classic sensibility. 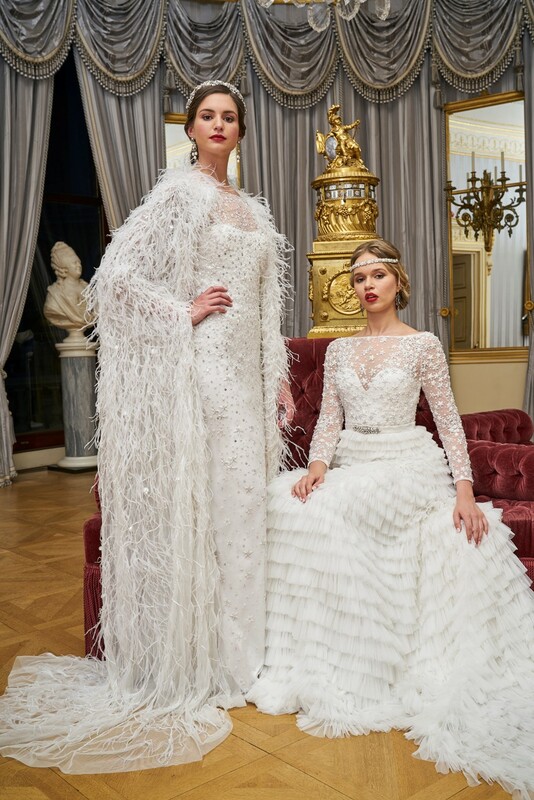 With evocative shapes and silhouettes the gowns exude movement, and different colourways add a sense of drama to the collection from beautiful blush to modern metallics. 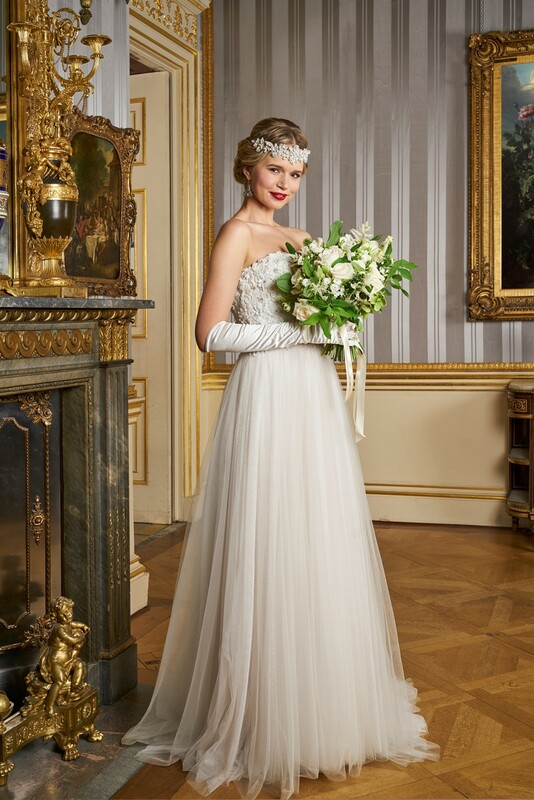 Breathtaking just doesn’t cover it, the collection is aristocratic and grand and brides-to-be can make their special day not just unforgettable, but truly historic in choosing an Eliza Jane Howell gown.